The terms “AV500” and “500Mbps” are derived from applicable specifications and refer to the theoretical maximum physical-layer data transfer rate. 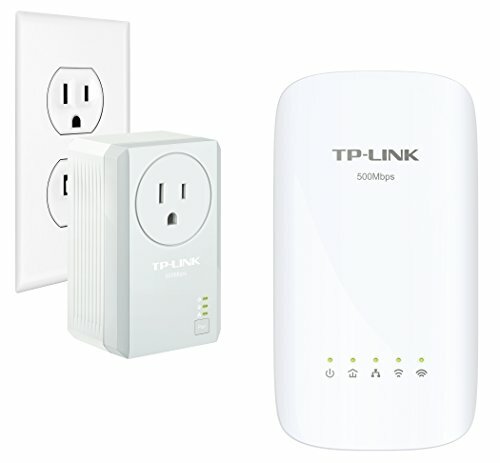 Those terms are used on this product solely to indicate its compatibility with other “AV500” or “500Mbps” PowerLine devices. Actual data speeds vary and are limited by the product’s Ethernet port and other network conditions such as data traffic, electrical noise, and wiring issues. If you are uncertain about your network conditions, you should consult an IT professional to assist in selecting a networking product. Out of Box Simplicity - Set up a secured Power line network in minutes. Simply plug, pair and play! Kindly refer the User Guide for troubleshooting.